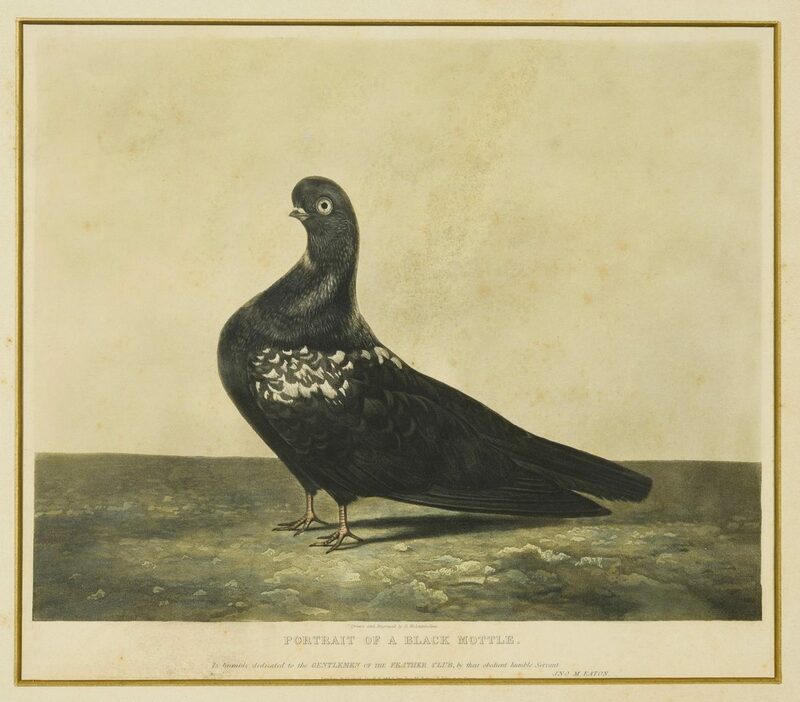 1st and 2nd items: 2 Victorian aquatint portraits of pigeons, titled Portait of a Black Mottle and The Trumpeter, both drawn and engraved by Dean Westerholme, "humbly dedicated to the Gentlemen of the Feather Club by their obedient humble servant, Jno. M. Eaton". Circa 1860. 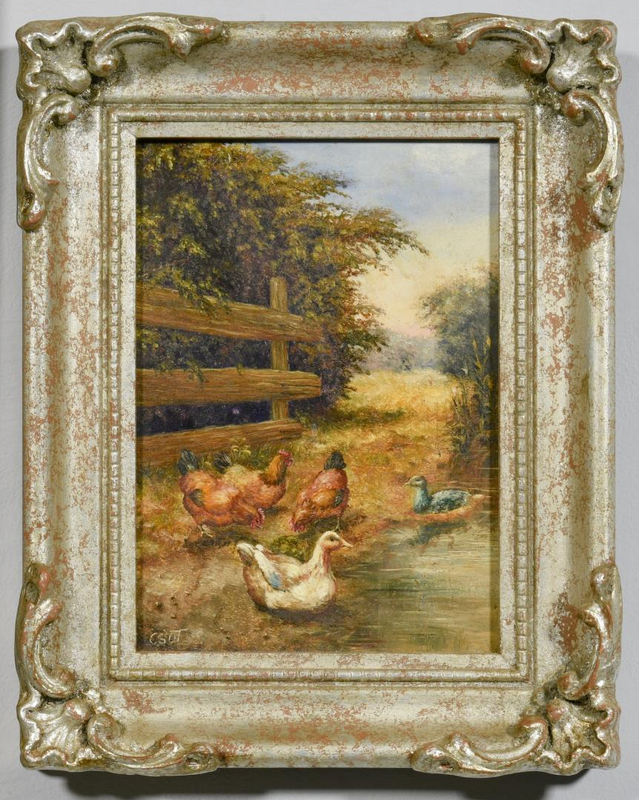 Matted and framed in matching ebonized frames with gilt trim. Black Mottle – 11" x 12 3/4" sight, 18" x 19" framed. 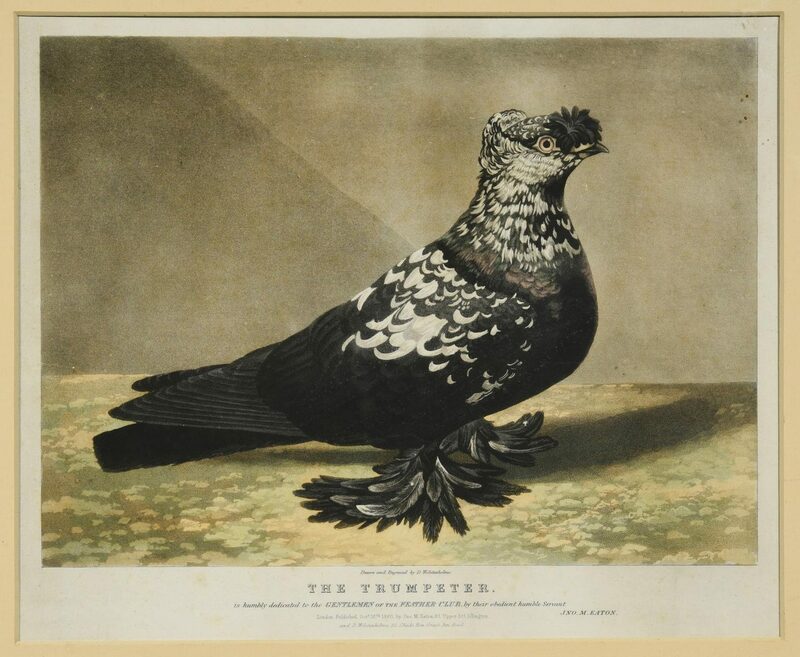 Trumpeter – 10 1/2" x 12 1/2" sight, 17 1/2" x 18 1/2" framed. 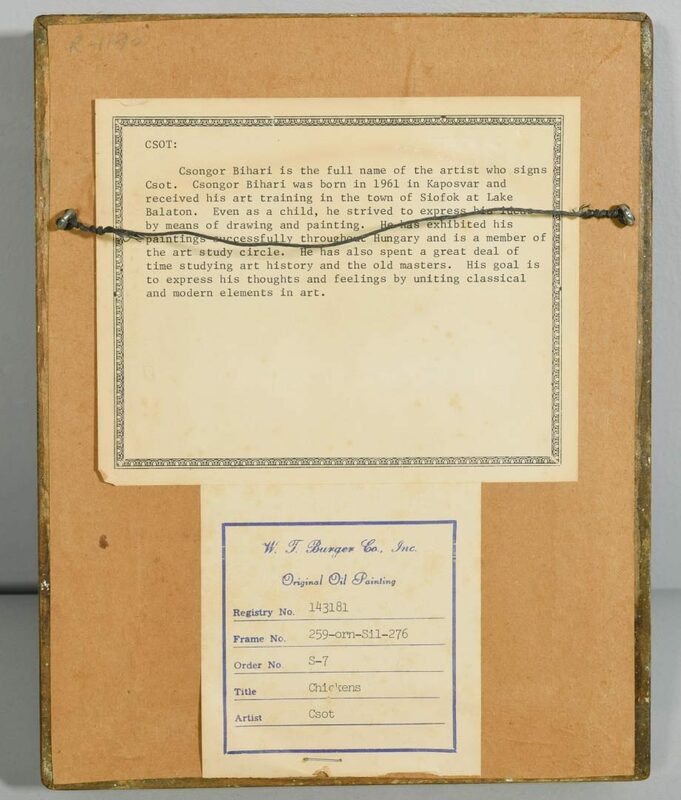 3rd item Csongor Bihari (Hungarian, b. 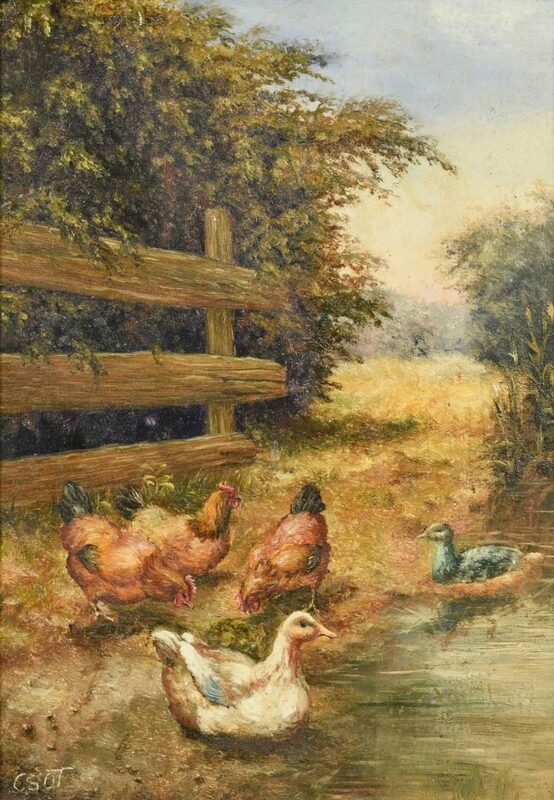 1961) oil on board painting of chickens and ducks by the edge of a pond. 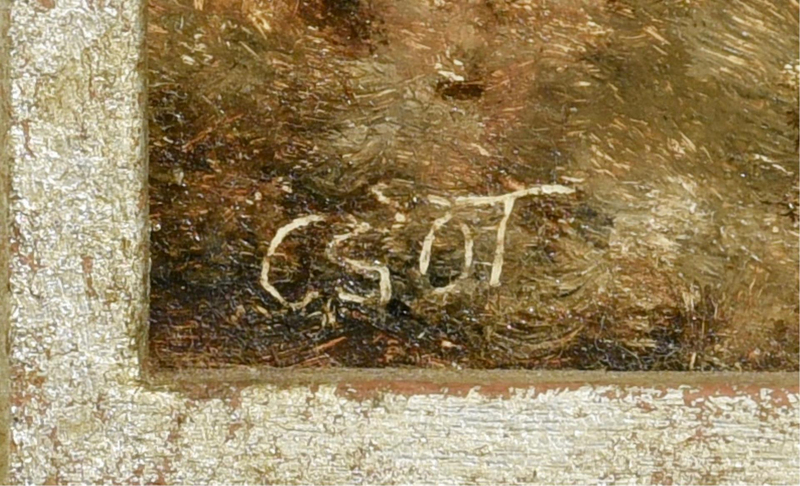 According to a W. T. Burger Co. label en verso, Bihari received his art training in the town of Siofok and has exhibited his paintings throughout Hungary. 6 5/8" x 4 5/8" sight, 9 5/8" x 7 5/8" in silvered molded frame. CONDITION: 1st and 2nd items: Some foxing and discoloration, especially to mattes. 3rd item: Excellent condition.